What makes a tabletop RPG? People in hobbies sometimes try to define the boundaries of their hobby. This is usually a conservative move, attempting to defend their hobby against change, evolution, or expansion to new demographics. I started playing RPGs in 1991, so I became a gamer in the second major evolution of the hobby (the first being its initial expansion in the late 1970s and early 1980s). My first games were D&D (of course) but also Shadowrun and the World of Darkness, which at the time were packed with innovative ideas and brought new types of play and new types of players into the hobby. I started LARPing in 1998, and found my LARP and tabletop skills expanded with greater exposure. All that is a preamble to explain that my attempt to define tabletop RPGs is not a conservative maneuver. I want to define tabletop RPGs by what they can do, not what they look like. It's a positive definition, not a negative, exclusionary one. Tabletop role-playing games (RPGs) are games played by a group of people that is small enough that they can sit around a table and have a conversation. RPGs involve players playing the role of at least one character in an imaginary, fictional world, with those players working within the imagined space to achieve their characters' goals. These characters are special, and are often called player-characters or PCs. One or more players participates by describing the setting, controlling incidental and supporting characters, offering challenges and conflict relating to the goals of the PCs, and deciding the outcome of PCs' actions to some degree. The imposition of challenges and conflicts that interfere with the PCs' goals is often called the scenario. This role is sometimes called the Game Moderator, or GM. The rules are descriptive (here's how you can use the system to determine X, if you want) instead of prescriptive (you may only do X). The players are empowered to choose their characters' goals and motivations. Even if some goals are provided for the PCs by the GM (e.g. pre-generated characters) or system (e.g. very focused RPGs), the players are empowered to interpret and control their characters' goals and motivations, add to them, change them, and evolve them. The player(s) in the GM role have the potential to cause scenario to focus on, respond to, and grow around the goals and actions of the PCs, even as they change. This definition focuses on both parts of the term "role-playing game." It includes playing a role (deciding a character's goals and motivations) and having a game (overcoming challenges or resolving conflicts). Scenarios are stories because they introduce a conflict, and then the protagonists resolve the conflict. Even the simplest RPG scenario contains all the pieces of a basic plot arc. Scenarios are games in that they introduce an objective for the players of the game to achieve and a challenge to overcome to achieve it. In a way, this definition gives us the ideal RPG. Everything we think of as an RPG is some shadow of this platonic form. In reality, RPGs are limited. Before games, the GM and players sit down and agree on a premise, mood and genre (ideally, anyway); tables have a social contract about who makes final decisions; and the rules limit a lot of what the players and even GMs can do. At the same time, the GM has to decide between preparing content and improvising content. Prepare too much, and the you wind up railroading the players. Even if you try not to, the players can tell where the "good" content is, and will follow it. Prepare too little, and you'll wind up improvising everything, which is fine, except that when I take the time to plan for my scenarios, I can involve more of the PCs' hooks, making the world react to their characters' motivations and goals better. Perfection is impossible, but I like to try anyway. I came around to thinking about this question because of a blog post by game designer John Wick and some ensuing discussion on the Tabletop Role-Playing Games Facebook group. It was pretty good discussion. Wick's off the cuff blog post was more of a thought exercise than a manifesto, as he explained in the follow-up post and while commenting on Facebook. There was a lot of criticism of his original post, and some of it with good reason: He claims that D&D editions up to now were not RPGs, which is somewhat inflammatory. He's expressed more nuance to it than that, but alone that would seem a rather shocking statement. What I liked about Wick's post was not the content itself -- I disagree with some of what he says -- but with the approach. He wants to define what an RPG is by what roleplaying can do, not by what it isn't. As I said above, I usually stay out of discussions defining the boundaries of my hobbies because I came into it in one of the great expansions of tabletop RPGs, and I love change and growth. I don't want to close the gates to newcomers or prevent evolution of the hobby at all. So a positive definition really appealed to me. In the Facebook group discussion, several of us (Wick included) started expressing our thoughts about the question of "what is distinctive about role-playing?" You'll notice that my criteria for RPGs are not often represented as rules -- not even in the most popular RPGs. There might be one or two rules relating to these behaviors, but usually they're implied. The majority of the RPG rules relate to spells, attacks of opportunity, experience points, damage and healing, and so forth. Is it so unusual for a game to leave it's most important player behaviors out of the rules? Consider the game of poker. The rules of poker define dealing, bidding, folding, drawing, wild cards, suit rank, and order of winning hands, among other things. They don't codify bluffing. But without bluffing, poker is a weak game, akin to "war," but with wagers. Now, poker rules often explain bluffing, but they don't regulate it. They don't mandate it, proscribe it, simulate it, or prescribe how or when you have to do it. Tabletop RPGs have traditionally been like poker. They have a lot of procedural rules for the game, but when it comes to role-playing, they just describe what role-playing is and explain what it's like and why you would want to do it. They describe making character goals, motivations, quirks, habits, flaws, and relationships; but they don't codify it much. Sometimes it's included as a small system such as D&D 5th edition's Inspiration mechanic, and occasionally it works well. But it's almost never a major part of the rules. However, take a look at the groundbreaking DramaSystem RPG rules. 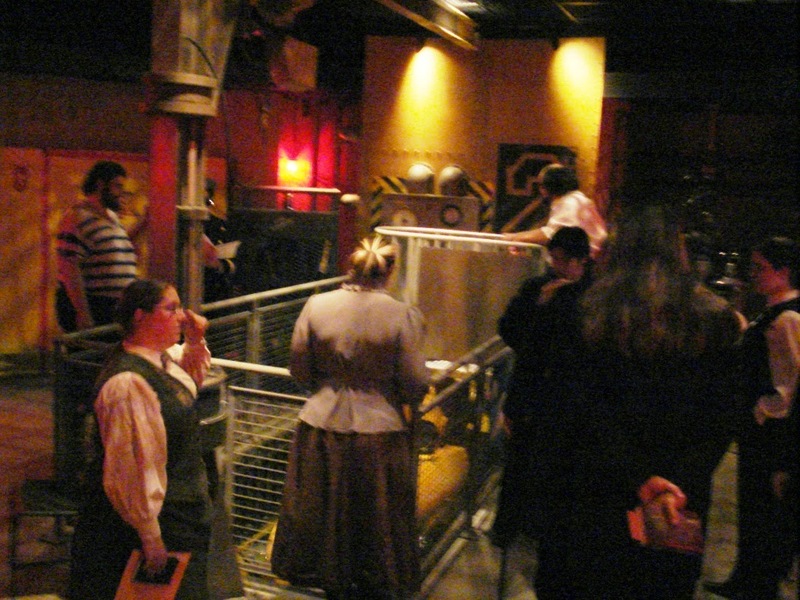 Role-playing, as set forth above, can be a major part of the system. It's brand new, and I haven't tried it yet, but goal-seeking and working the scenario around the PCs' goals are the core of the game, and interact with the core system. The PCs are designed around goals where they want to resolve emotional conflicts with each other, leading to highly dramatic role-play. Everything that follows is a guided tour through some examples that help illustrate why I chose this working definition of what an RPG can do. To me, the most interesting way to approach the problem is to look at edge cases. If you want to follow my thought process further, consider these games. I highly recommend each and every one of them, by the way. None of these comments are meant to be criticism. In this section, I discuss story games, board games, video games, and LARP, and what each example tells us about the essence of a tabletop RPG. 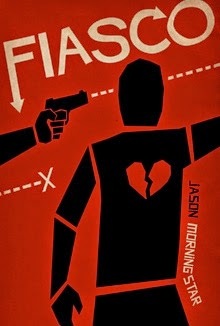 Fiasco - Jason Morningstar has said Fiasco is not an RPG, but I disagree. To me, Fiasco feels very much like an RPG. You don't have character stats or a static GM (the role is taken by all the other players when it's your turn), but you take on a role, you have a goal, every scene is built around it, you try to achieve it or fail in a fun way, and the outcome of your actions is determined by other players taking the GM role. 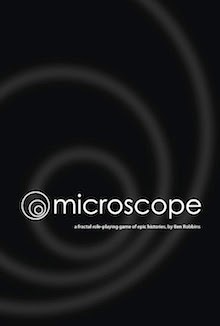 Microscope - By contrast, Microscope claims to be an RPG all over its website (see link). I won't say it isn't, because I don't want to exclude new ideas; and it sure is a lot of fun. I recommend you go buy it. I own it and I love it. But to me, it doesn't feel like an RPG. For one, you play whatever character you want, even on your own turns; and the characters you play exist mostly for you to showcase a story event. You can play Microscope without playing a single character for more than 5 minutes. But that might just be how it's come across to me when I've played it. I understand that you can also play it more like a traditional RPG, with a single character you keep the whole time, but even that isn't under your control. I believe others can play or dictate the actions of characters you invented on their turns. You aren't even close to being in control of your character's goals and motives over the course of the game. Both Fiasco and Microscope have a neat feature: If your character dies or is otherwise eliminated, you can keep playing! Both take the philosophy that a player has innate authorship, and doesn't have to influence the game only through his or her character. This is more pronounced in Microscope, where characters are entirely fluid than Fiasco, which is an engine for interpersonal drama, and therefore is focused on a small cast of characters anyway. In that way, story games have characteristic #2, but they go far more broad with it than a traditional tabletop RPG. This is a welcome, super-fun, and refreshing variation; but when taken to an extreme, it stops "feeling" like an RPG, and starts feeling like a really smart method for group story-telling. 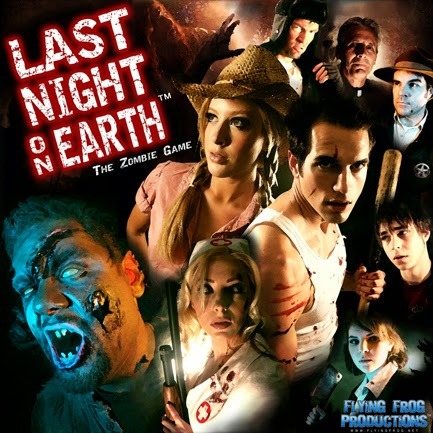 Last Night on Earth - I'm including LNoE partly as a contrast to HeroQuest, below. LNoE gives you a character and lets you move around a town, visit locations, fight zombies, and collect equipment. Some people play the role of the zombies. The zombie player(s) feel a lot like GMs. It has a lot of classic RPG elements, but it doesn't feel like an RPG. For one, your goal is determined by the scenario card you select at the start of the game and cannot be changed. The way to win the scenario is static, and while you can change tactics, the strategy is pre-determined. Acting and conversation are entirely optional. LNoE also has prescriptive rules (see #4). 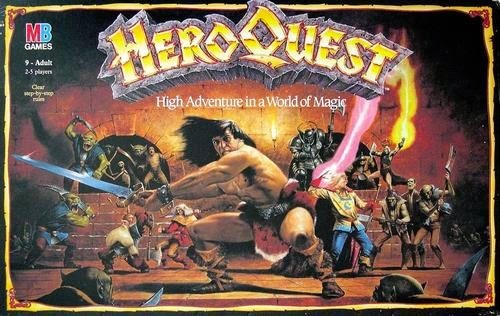 HeroQuest - Here I'm talking about the Milton Bradley board game, not the RPG by Robin D. Laws. HeroQuest has characters, levels, dungeons, and a DM. It encourages talking in character between the different characters, but that's not necessary. It has a static win condition, like LNoE. It has a lot of similarity to D&D, but it is distinctly different in a lot of ways, as well. HeroQuest also has prescriptive rules (see #4). I think the difference between HeroQuest and old school D&D is the essence of an RPG, and I'll discuss it more, below. Warhammer 40K - Tabletop wargames are where D&D came from. They have very prescriptive rules. They rarely have a GM role (though in competition, they have judges). They don't allow players to set their own goals -- the goal is to beat the other army. But I can see how RPGs evolved out of tabletop wargames. In high school, I had a friend devise scenarios for two of us in Warhammer 40K where we each played half of a squad of space marines. We had a scenario similar to a D&D module, with a goal and mission, and we had to move around a board to achieve it. He challenged us by having tyranids or other aliens attack. It was a lot like old school D&D. Our motivation was to complete the quest -- other motivations really didn't matter. Our options were limited to our tactical and strategic choices. We could try out of the box solutions like entrenching or destroying terrain, because there was a GM. But characteristics #5 and 6 were not present. It didn't feel like an RPG. D&D - I'm including D&D because John Wick has stated that he thinks it doesn't qualify as a true RPG, being closer to a wargame. I don't entirely agree with Wick here. D&D is definitely an RPG. But what makes it different from HeroQuest? Is there a distinct difference between the editions in how much they approach the RPG ideal? To paraphrase what he said in the Facebook conversation, if I have all the things to make a game like HeroQuest in my left hand, and all the things you'd need to change to make it D&D in my right hand, what's in my right hand? I think my definition, above, works. HeroQuest has #1, 2, and 3. But it doesn't approach #4, 5, or 6. D&D can be a lot like HeroQuest, though. Consider the 5th edition D&D boxed set module, Lost Mine of Phandelver. It comes with characters who have pre-scripted goals. However, #5 and 6 are retained because the players can change or replace those goals, or even make their own characters with entirely new goals, and the DM can respond to them and focus events on those goals. Old school D&D play can feel a lot like my high school games of Warhammer 40K or like a HeroQuest board game. This is Wick's point: That not only do the old editions of D&D not specifically require true role-play, they were commonly played without it, just like small unit wargames or HeroQuest. Or were they? Even old school D&D, which was originally described as a wargame right on the cover, had that je ne sais quoi of broad options for character goals and descriptive rules, allowing for creative approaches to sim scenes. 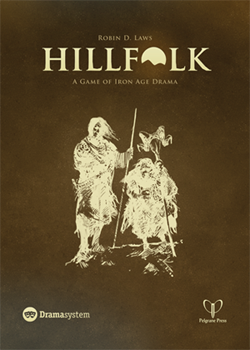 The first TSR module for first edition, Steading of the Hill Giant Chief, had a lot of opportunity to define your character and goals within the framework of the adventure: One of the first challenges is deciding if your characters would slaughter hill giant children. That would never come up in HeroQuest. But the actual experience of the module was still fairly close to a tactical wargame. I think that in the 1990s, when I was coming into RPGs, there was a great upheaval, and the old wargame style of play grew less prominent, and games started empowering players to take the role of a protagonist. 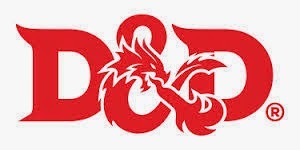 In that way, over the years, D&D has defined the growth of the RPG: It was the first RPG, in that its rules allowed the ideal mode of play, but its players took a long time to discover the potential within those rules. They learned and passed on new social facilitation and fiction writing skills. Then later editions brought that aspect to the fore and supported it, until 5th edition which directly includes character goals, flaws, and hooks in the system, right on the front of the character sheet, taking up more square inches than the six classic attributes. The times, they are a-changing. 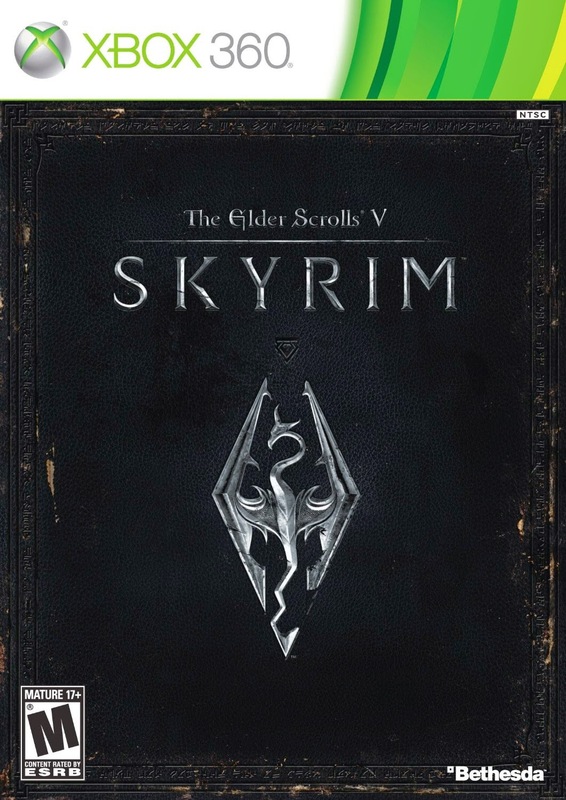 Skyrim - Skyrim is clearly not a tabletop RPG. But it has character creation, an open world, and a lot of player choice. Video game RPGs have prescriptive rules, like Last Night on Earth and HeroQuest -- you can only do the actions that the game system allows. But this line is blurry. In Skyrim, the game offers you so many choices it almost feels like you can do anything you want. But then you try to build a campfire or burn down a hut filled with monsters, and you come up hard against a missing characteristic #4. 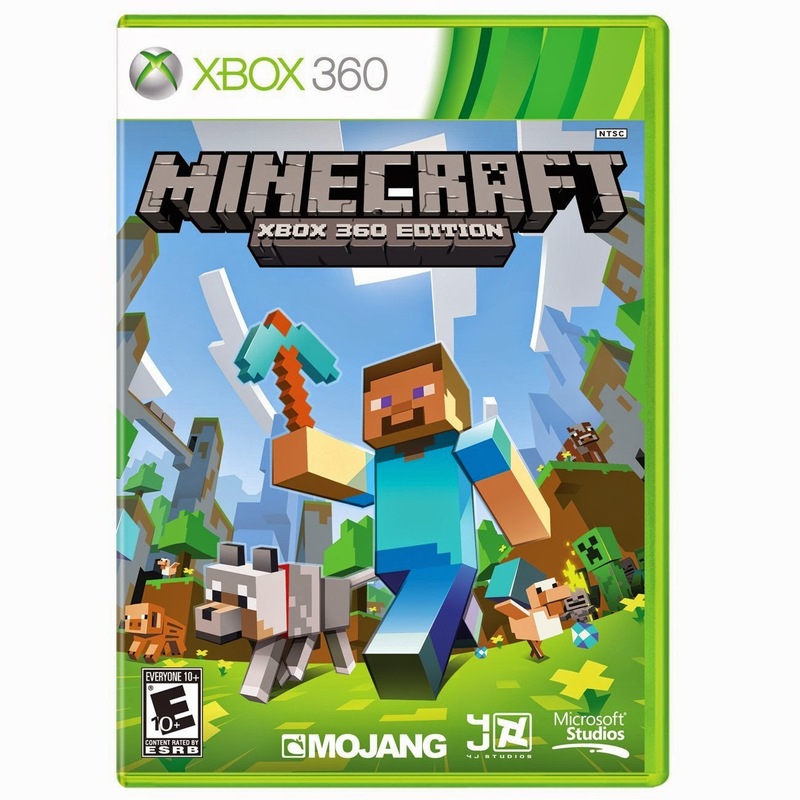 Minecraft - Even more interesting than Skyrim is Minecraft's multiplayer mode. Minecraft lacks a lot of RPG elements. You don't create a character, and the rules are very prescriptive. But Minecraft, even in single player mode, has characteristic #5. There is a "final boss" but most players don't care about it, and quickly decide on their own goals (build a cathedral, visit all the kinds of temples, cross this ocean, get a sweet enchanting lab, etc.). The game rewards those goals very well. Minecraft's multiplayer mode adds even more to the goal choices. It has multiplayer survival mode, a savage world of griefers; it has multiplayer adventure modes, where you're on a Skyrim style quest; etc. But it doesn't feel like an RPG to me. 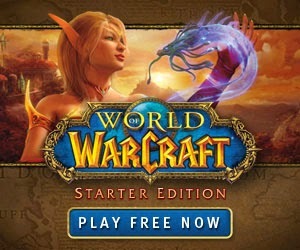 World of Warcraft - The link here goes to a page about role-playing in WoW. WoW feels a lot more like an RPG than Skyrim, even though its quests don't allow the variety of options Skyrim does. The rules are still very prescriptive. But especially on RP-PvP servers, the players can select a wide variety of goals (build alliances, depose another character, explore, etc.). This feels a lot more like an RPG in a lot of ways. There is also a lore creating a very rich world with a lot of hooks for PvP stories. WoW RP-PvP servers have the potential to become a lot like Vampire LARPs, where the PCs' main story comes from feuding with each other. 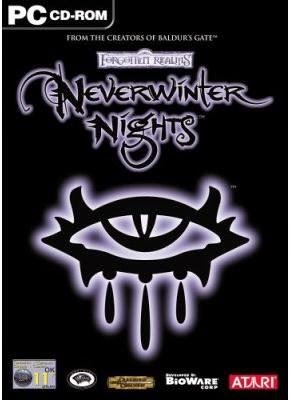 Neverwinter Nights - Single player NWN is a lot like Skyrim; but NWN also had a multiplayer mode where people could take the role of DM (see the link) and run adventures like classic D&D. Tellingly, the computer is very prescriptive -- you can't burn down houses or dig up the pavement to get into the sewers or other creative actions. But with the DM present, all of a sudden, anything is possible. The player can tell the DM that he's using the Pyrotechnics spell to set a house on fire, and the DM can decree that the house has burned down -- even though the computer can't handle that. But because of the effort required to model the world in the computer, and its limitations, it's hard for a NWN DM to be truly as flexible as in a tabletop RPG. Still, this makes it feel like an RPG. Of all the edge case games discussed here, LARP is the closest to tabletop RPGs. LARP grew out of tabletop RPGs and mixed itself up with improvisational theater and murder mystery games. So in a way, LARP is an evolution of the tabletop RPG (which also happened in the 90s, when I was getting into the hobby). The two main styles of LARP (as defined by me on this blog anyway) are interesting windows into the essence of role-playing. Though they're clearly not table-top RPGs, they're definitely role-playing, and they're almost always games. So in a way, they can tell us a lot about role-playing. Adventure Style LARP - LARP obviously doesn't feel much like a tabletop RPG. It doesn't even try to. It's very weak on characteristic #1, for instance. If your LARP feels a lot like a tabletop RPG, you might be doing it wrong. The type of LARP that feels closest to a tabletop RPG is adventure style. In my experience, adventure style LARP feels a little like a tabletop RPG that responds very, very slowly to PC goals and unexpected PC actions. A one-shot adventure style LARP works a little like Lost Mine of Phandelver, described above. You get a pre-generated character or a character you had input in, with goals created by the GMs, then you embark on a pre-planned scenario, but there are a lot of modular and branching points built in to give you some freedom of how to approach it. Pre-scripted scenes in an adventure-style LARP feel a lot like a tabletop RPG module's encounters, except that with all the moving parts (sets, costumes, cast NPCs, props, game space, wrangling many times as many players...) it's much harder for the GM(s) to change them. At the same time, with all the prep needed for adventure style LARPs, the GMs can work a lot of character hooks into every scene. The more high production value the LARP, the more it tends to lose its responsiveness to PC goals, until you get to something like True Dungeon, which is basically the LARP version of HeroQuest. Elysium Style LARP - Players can have any number of goals for their characters in Elysium Style LARP, but the GM(s) are even less able to respond to most of them compared to Adventure Style LARP. The concept of "footballs" I've developed (see link) limits what kinds of things the players can influence with their actions to the things the GM is supporting, but at the same time, it empowers the players to invent goals that involve those footballs. The GM(s) need to limit and focus on specific conflicts (footballs) because the point of Elysium Style LARP is to pit the PCs against each other, so that the majority of the conflict takes place between PCs. Elysium style LARP is very weak on characteristic #6. If a player chooses a goal unrelated to any existing conflicts, the GM(s) are not likely to spend a lot of time and effort focusing the world around it. All the conflicts in the game need to focus on the arenas of conflict that the GM(s) are supporting. A player who made a character who isn't interested in the conflicts built into the game had best come prepared to make their own fun ("bring your own picnic basket" is another phrase I've heard) because the GMs are always going to use their time on the established arenas of conflict, to create the most fun for the most players. The GMs can't spend all their time running adventure style plots for everyone -- the point of Elysium style LARP is for the PvP conflicts to drive the story and game. These criteria are helpful. But what is especially revelatory for me is that RPGs depennd on players having roleplaying skills that, in the 70s, were a crapshoot. If you were Dave Arneson, you got it automatically. It was just an innate prediliction. 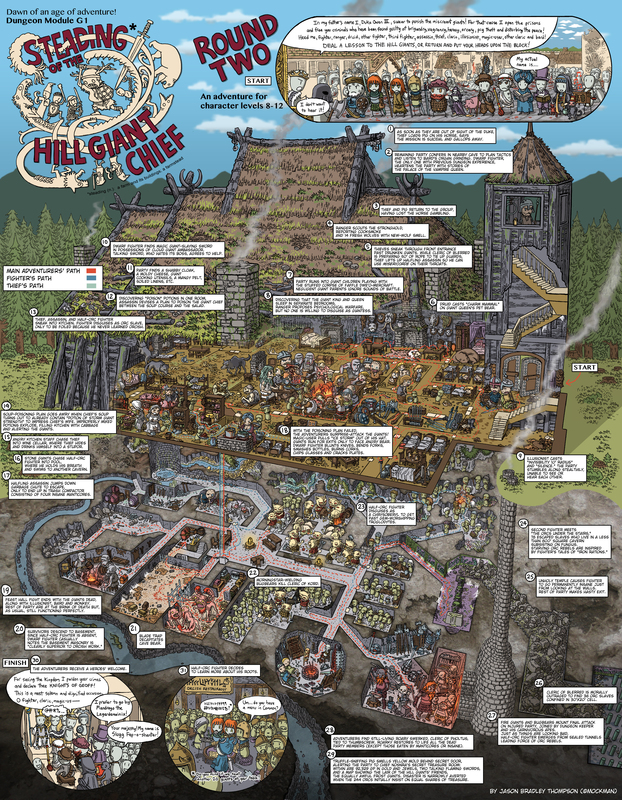 If you were Gary Gygax, you needed to take a few decades to start to figure it out. RPGs depend on these skills, but they don't spend much effort teaching them. Yet it's not that hard. A book could easily convey the skills a player needs to be a solid role-player, just like you can teach bluffing in poker in as few pages as the Spells section of the Player's Handbook. Some tabletop RPG books do a good job of it, but the vast majority do not. If you're a GM reading this blog, consider learning as much as you can about role-playing to perform a good example for your players. I'm not talking about acting -- I mean building characters with strong goals, hooks, and motivations. And most important is that you build player hooks, motivations and goals in everywhere you can. If you're a player reading this, think about building some good hooks into your characters. It's never too late. Hopefully your GM will respond well and build them into the game. If you're a game designer, remember to take the time to teach role-playing in your core books. If you agree with my 6 characteristics of tabletop RPGs, try to focus on the characteristics that other games don't teach - especially characteristics 2, 3, 5, and 6, which are unique to RPGs. Players won't have much chance to learn them, except from your work. So I would have included Descent (http://www.amazon.com/Descent-Journeys-Dark-Second-Edition/dp/1616611898#) except the tragedy of it is, I've never played Descent! It would make a better example, too. I need to correct this gap in my life ASAP.